Two couples torn apart--one by war between countries, one by war within. 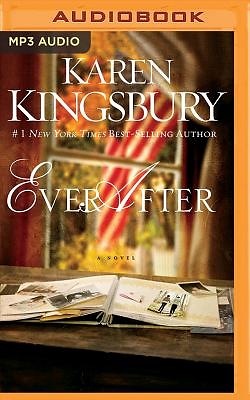 In this moving sequel to Even Now, Emily Anderson, now twenty, is attending college on a soccer scholarship when she meets the man who changes everything for her: Army reservist Justin Baker. Their tender relationship, founded on a mutual faith in God and nurtured by their trust and love for each other, proves to be a shining inspiration to everyone they know, especially Emily's reunited birth parents, Lauren Gibbs and Shane Galanter. Lauren and Shane still struggle to move past their opposing beliefs about war, politics, and faith. Shane believes it's possible but Lauren doesn't. So she says a painful good-bye to her long-ago love and returns to her job as a war correspondent in Afghanistan. Both hearts are shattered, and Lauren and Shane believe that this time their relationship has truly ended forever. Then tragedy sends shock waves through all their lives. Can Lauren and Shane set aside their opposing views so that love--God's love--might win, no matter how great the odds?